Set aside the cares of the week and enjoy the best evening of comedy Olympia has to offer. Washington Center’s Comedy in the Box brings regional and national comedians to our Black Box theater¬—a unique, intimate venue with a full bar. 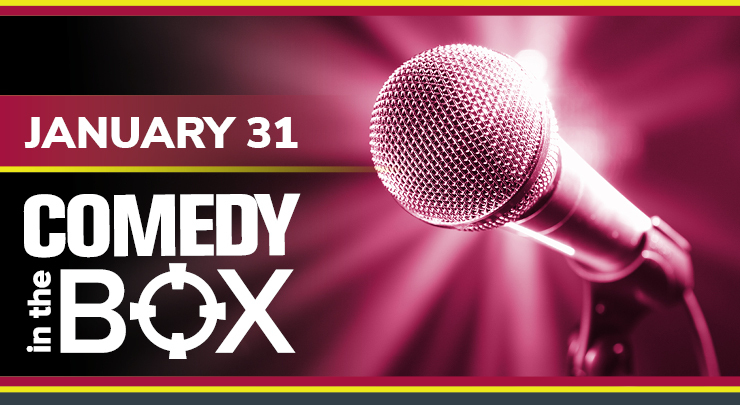 With a new lineup of three comedians for each show, we’re sure to tickle your funny bone!